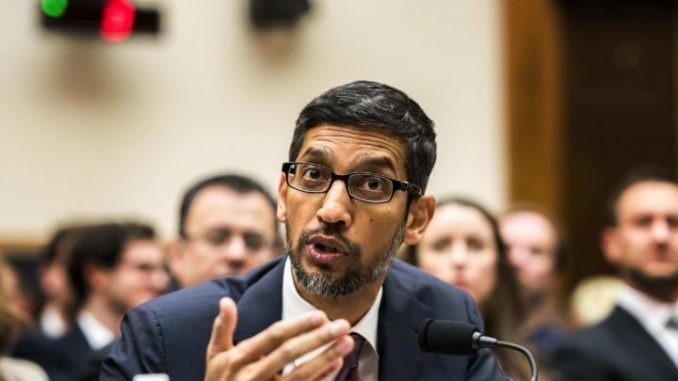 On Wednesday, Donald Trump met with Google CEO Sundar Pichai, whom he’d previously accused of indirectly boosting China’s military, reassured Mr. Trump that he is “totally committed” to US security. US top military officer also urged US tech giants to begin work to step up next generation 5G wireless technology so that US markets are not reliant on Chinese innovators, indirectly hinting at Chinese telecommunication equipment manufacturer firm Huawei. The US government are deeply suspicions over Huawei’s technology and products, they claim the Chinese Government was using the telecom giant to eavesdrop into the United States. After meeting Pichai Trump tweets "Google committed to US Military not Chinese Military"